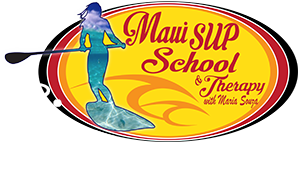 I was looking forward to this SUP instruction and Maria did not disappoint! Maria focused on personalizing the instruction and taught me how to stand on the board, read the ocean, wind, personal safety and a few important golden rules. She was encouraging and fun and I wished I could have spent the day with her. I took out a board on my own the next day and enjoyed it all the more because of her exemplary tutelage. Maria is also a warm, compassionate, beautiful person and I feel grateful to have found her from other wonderful reviews. I am addicted to this sport now and use the balloons on and off the water. I will be sure to look her up again when in Maui, maybe next time for a massage as I hear she is gifted at this too.